ON Monday, I’ll put up the interview I did with Leah Moore and John Reppion, for my day job at the Liverpool Echo and Liverpool Daily Post. 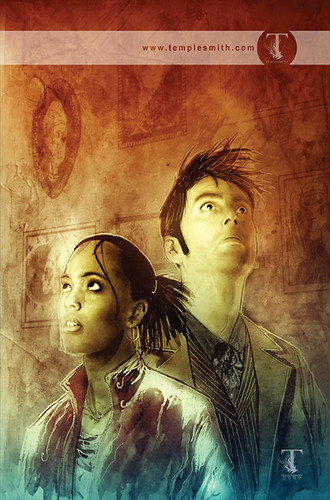 In the meantime, here’s some artwork from the new Doctor Who comic they have written and Ben Templesmith drew, called The Whispering Gallery. Enjoy! If you’re reading this and you live near Coventry by the way, John and Leah will be at Astral Gypsy on Saturday afternoon, for a signing session. I know from personal experience they are lovely and fun and chatty, so pop down and say hello! Until Monday then – but be warned – it is a biiiig interview!